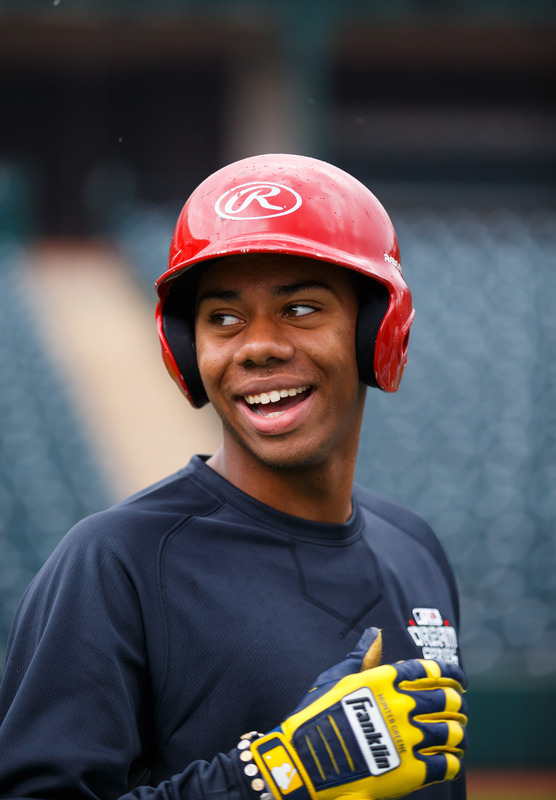 We’ve profiled Major League Baseball draft prospect Jordon Adell of Ballard High School in Louisville, Kentucky. Here are three others to watch in the draft, which begins Monday night. High school pitcher Hunter Greene during the USA Baseball-sponsored Dream Series at Tempe Diablo Stadium. Hunter Greene could be the No. 1 overall pick Monday night. He is an overpowering pitcher with a fastball clocked as high as 102 mph. He also played shortstop at Notre Dame High School in Sherman Oaks, California, and his power at the plate has many scouts comparing him to Alex Rodriguez. Greene, who appeared on the cover of Sports Illustrated in April, would prefer to pitch. But if a team drafts him with the intent to make him an everyday player, he’d prefer to play center field. Vanderbilt Commodores outfielder Jeren Kendall during a game in Baton Rouge, Louisiana. Jeren Kendall, considered the best defensive player in this year’s draft, is expected to be selected in the first round after playing three years at Vanderbilt. 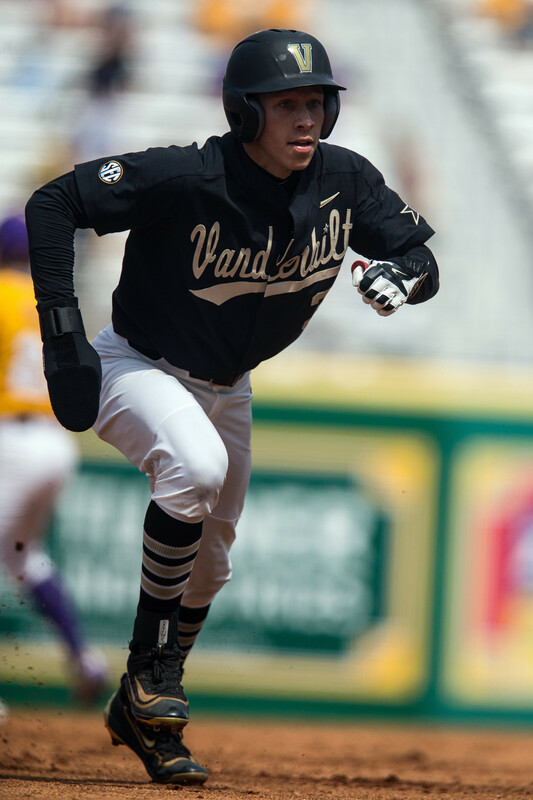 He hit .312 with 15 homers this past season and has great speed, with 20-plus stolen bases in each year at Vanderbilt. After committing to play baseball at Auburn after his junior year of high school, Thompson led the McGill Toolen football team to the Class 7A championship, throwing 38 touchdowns and more than 3,000 yards for the season. Suddenly, Thompson was a hot two-sport prospect. That led him to decommit from Auburn and reopen his recruitment. What he chooses depends on what happens in the MLB draft, where his stock has risen after he hit .404 with nine homers during his senior season.